Our lovely ambassador Babir is a Weldricks Teacher Practitioner at the University of Bradford, Green Light Campus Masterclass Lead, and the Law and Ethics lead for the RPS Pre-registration team. 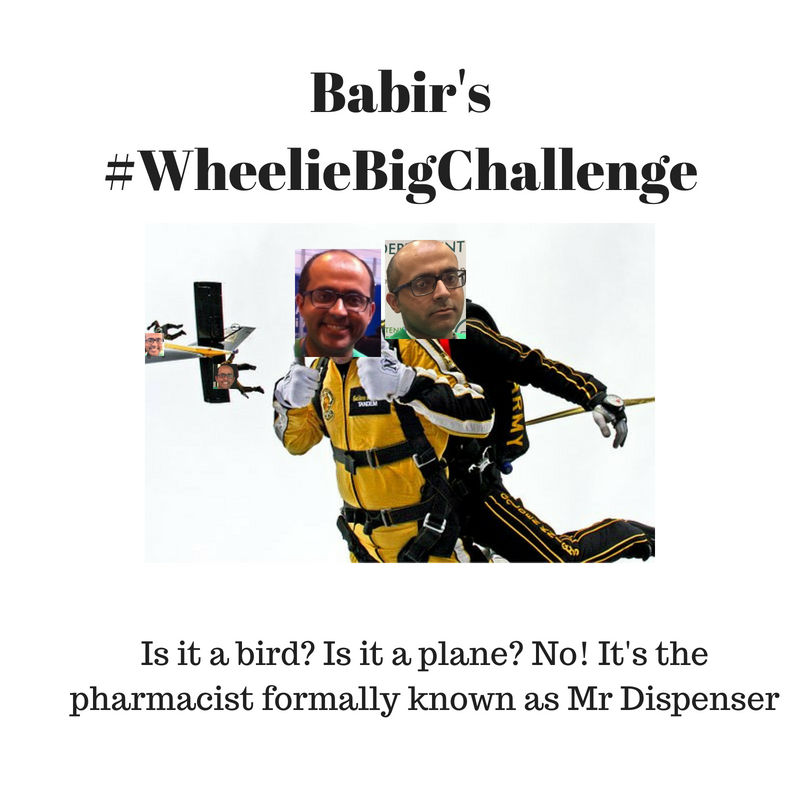 He’s here to tell us all about why he will be throwing himself out of a plane all to raise money for Pharmacist Support! 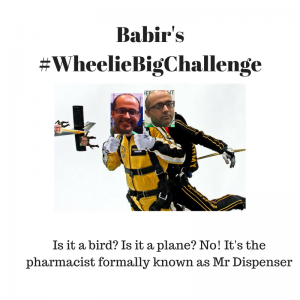 I began my pharmacy journey in 2003 at the University of Bradford, after completing a Biomedical Sciences degree previously. I then embarked on a Postgraduate Diploma in Community Pharmacy at Keele University in 2009. I have also completed my RPS Faculty journey and am at Stage 1. I undertook a 10-week secondment as a Clinical Commissioning Group Pharmacist early in 2016 and am also a Dementia Friend Champion generating over 300 Dementia Friends. I currently practice in Weldricks Pharmacy, Scunthorpe. In June 2016, my pharmacy was awarded the Chemist and Druggist medicines Optimisation Award for our innovative LPS Intervention Service. 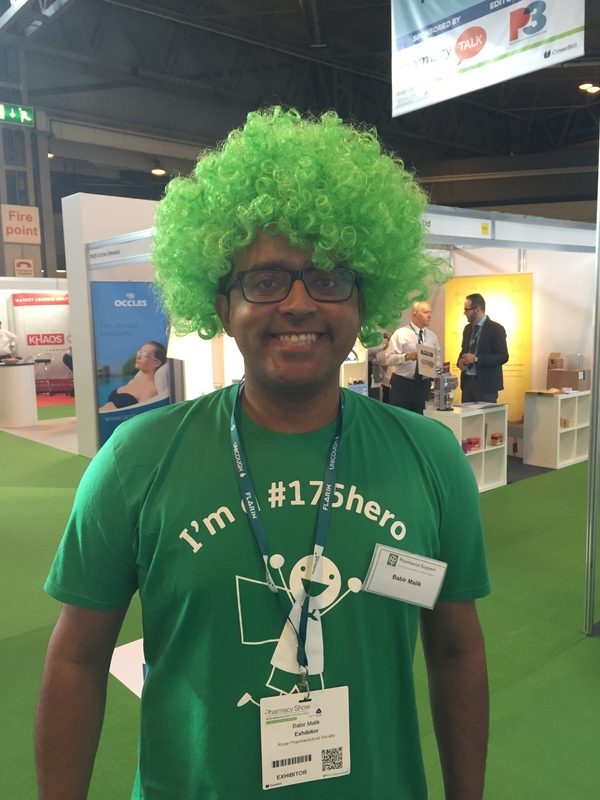 Why d id you decide to become a Pharmacist Support Fundraising Hero? I’m no hero! I think it’s important to raise awareness of the amazing charity and to help generate as many funds as possible to support the fantastic work that Pharmacist Support do. I am too lazy to run unless I’m running after someone who hasn’t paid for their prescription or if they have stolen my pen! 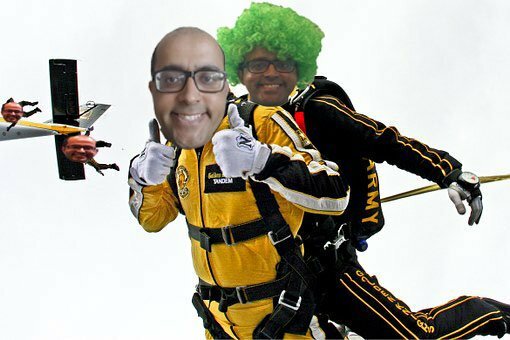 I am not good at baking and so I have decided to jump out of a plane for the charity and shall be sticking hyoscine patches all over my body as I suffer from motion sickness. As a charity ambassador, I should lead and fly by example.